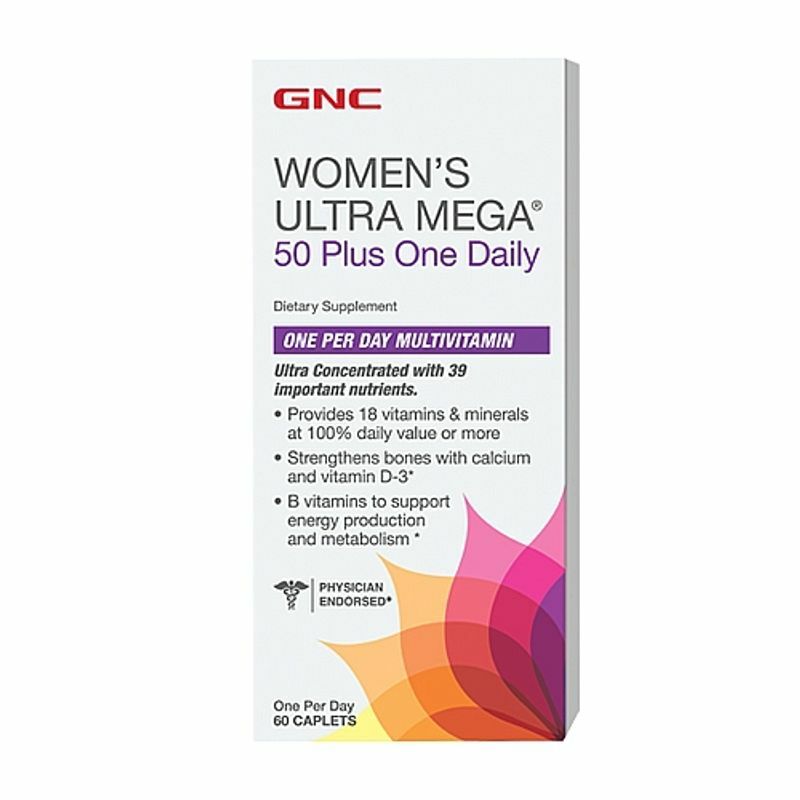 GNC Women's Ultra Mega 50 Plus One Daily Caplets are time-release caplets that provide a gradual release of vital nutrients. Ultra concentrated with 39 important nutrients it provides 18 vitamins and minerals at 100% daily value or more. It helps in maintaining healthy bones providing Calcium and Vitamin D-3. 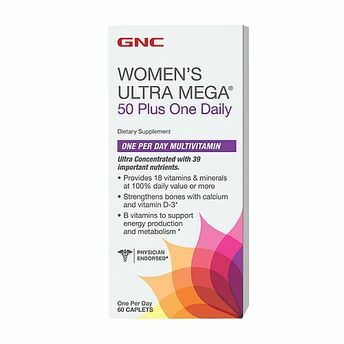 Enriched with B Vitamins it comes with with 600 IU of Vitamin D-3 for breast and bone health and supports energy production and metabolism.